“Fruiting” in the summertime in the Modesto area is a favorite past-time of mine. This usually involves driving from fruit stand to fruit stand pricing and picking out favorite fruits. I only do this in the afternoon because part of the experience is fruiting in the hottest part of the day. Temperatures in the 100’s are ideal for this activity. This section explains the different kinds of “fruiting”, gives information for how to “fruit” and lastly provides names and addresses of several fruit stands in the Modesto area. In my fruiting experience, I have found that there are 4 different types of fruit stands, the Permanent fruit stand, the Seasonal fruit stand, the U-Pick fruit stand, and the Backyard grown front of the house self help fruit stand. 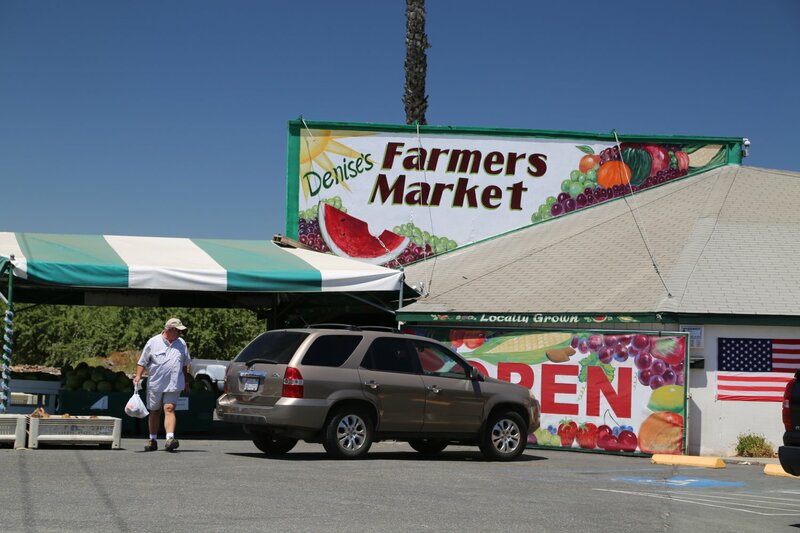 The Permanent fruit stand is usually open year round and is housed in a permanent structure. They often are larger than the seasonal and backyard fruit stands. Typically they will have numerous temporary signs along the sides of the road advertising the types of fruit in season. These signs can be easily removed and changed to reflect the fruit in season. I have found the quality of fruit really varies in these types of fruit stands. 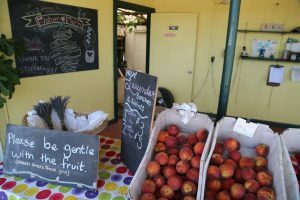 The Seasonal fruit stand is only open during part of the year – it may only sell one type of fruit and it would only be open when that particular fruit is in season. For example there are several seasonal fruit stands selling only strawberries in the Modesto area. Usually seasonal fruit stands that sell a variety of fruit are only open in the summer time months – usually from June through the end of September. Seasonal fruit stands are not backyard fruit stands – see below. They usually sell a larger volume of fruit compared to the backyard stands and they typically have a large structure from which they sell from. Signage for the seasonal fruit stand can be just as prominent and numerous along the roadside as that of the permanent fruit stands. U-Pick fruit stands allow you to actually pick the fruit by hand. Most U-Pick fruit stands will have either buckets or boxes and gloves that you can use when actually picking the fruit. If you are planning on visiting a U-Pick fruit stand you should seriously consider bringing your own boxes – because often U-Pick stands will not let you take their boxes. U-Pick stands may also have pre-picked fruit that you can buy. Backyard grown fruit stands are usually found in front of people’s private homes. These types of stands are characterized by their low production of fruit, usually are a small hand made stand or table situated in the front of the house, and have little signage. Signage is usually a small hand made sign taped to a telephone pole or other structure – they usually have only 1 or 2 signs present. They are located in residential neighborhoods of course. 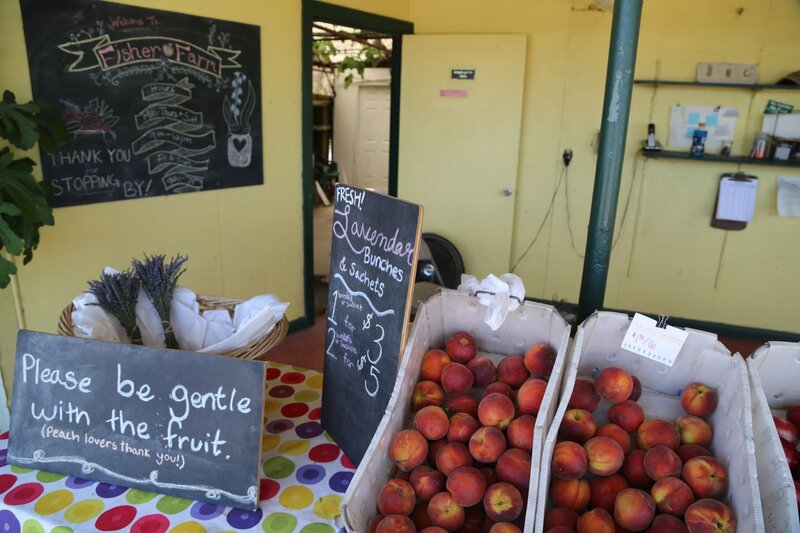 With the exception of the U-pick stand listed below, the following are fruit stands are all located within about 20 minutes of downtown Modesto. The author has visited all of these. More will be added over time. Natures Corner is located in a permanent structure and is located at the corner of Jack Tone Road and Highway 120. I have found this fruit stand has a great selection of melons during the summer months. 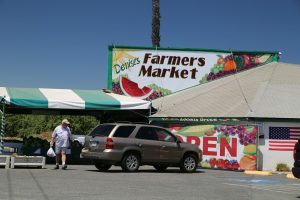 U-Pick – This is the title of this fruit stand located about 45 minutes from Modesto near Rio Vista off of Highway 12. They are located 2.5 miles south of the Rio Vista Drawbridge and 4 miles from highway 12 – accessible by driving paved levee roads. This fruit stand is open 7-days a week from June through early/mid September. 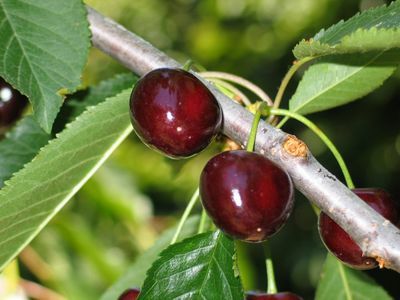 All trees are pruned to a height of 7 feet so you don’t need ladders to pick the fruit. When in season, they have an excellent selection of many varieties of peaches and nectarines. Also available: apricots, plums, Asian pears, apples, cherries and pluots. A vegetable garden including melons, corn, tomatoes, peppers, squash and other vegetables is also available as a U-pick. Expect to do a bit of walking as the facility has a large orchard. Buckets and wagons are available for hauling the fruit from the fields to the check out stand. Excellent prices. For more information call their recorded info line at: 916-777-4439. An excellent seasonal fruit stand run by an Amish family sells nectarines for only a few weeks of the year. Their prices are very good and its basically just fruit available in the back of a truck. It is located off of Hatch Road – I have only been there once. When I next visit this stand I will provide detailed instructions as to how to find this. – Fidels is on McHenry a few miles before getting to Escalon traveling north. Thanks Marlene – I’ve been able to stop by Fisher several times already in the last month. I see another sign has popped up nearby for Harris Orchards U-Pick? Didn’t stop in today but u-pick is always intriguing. Have you stopped in there? Or has anyone reading this… I’ll have to stop by the next time to check them out.